Johannesburg, Feb 24 - West Indies skipper Jason Holder has backed out-of-form Chris Gayle to regain form during their World Cup tie against Zimbabwe on Tuesday at Canberra. The swashbuckling batsman scored an unimpressive 36 runs off 65 balls in the opening loss to Ireland and got out for mere four runs in Saturday's big win over Pakistan. Backing Gayle to regain form, Holder said that Chris was awake, claiming that he was awake from the beginning of the tournament, Sport24 reported. Johannesburg, Feb 18 - Former Pakistan pace spearhead Wasim Akram has expressed his willingness to help Misbah-ul-Haq's side rescue their World Cup campaign after the team's defeat against India in Adelaide. India extended their unbeaten streak against Pakistan in World Cup to 6-0 after Mahendra Singh Dhoni's men claimed a 76-run win over neighbors. Speaking on a local news channel, Akram said that neither the Pakistan cricket authorities nor anyone in the team had approached him to help or advise them, Sport24 reported. Expressing his willingness to help Pakistan team, Akram said that he was there in the World Cup and he wanted to go and help their players adjust and do well in the tournament in those conditions, but he couldn't do that without an invitation, the report added. Johannesburg, Feb 16 : The celebrated Marylebone Cricket Club (MCC) awarded former India cricket team captain Sourav Ganguly on Sunday with an honorary life membership to the club. Following Ganguly's Test debut in 1996 he played a combined 424 Test and ODI matches for India, averaging over 40 with the bat and taking 132 wickets. Ganguly, who captained India 195 times, claimed that he has got some fantastic memories of playing at Lord's that he carries with him forever, from the hundred on his debut to the amazing NatWest Trophy Final in 2002, Sport24 reported. Johannesburg, Feb 14 - World number two Roger Federer is reportedly planning to skip Swizerland's Davis Cup tie to be played in March as the 17-time Grand Slam champion made no mention of it in his spring-to-summer playing schedule. As per the schedule, Federer would play in Dubai (from February 23), the Indian Wells Masters in March (no Miami event), plus clay-court Masters 1000 events in Monte Carlo, Madrid and Rome before playing Roland Garros , Sport24 reported. Johannesburg, Feb 13 - 14-time Grand Slam champion Rafael Nadal has said that he is eager to experience the incredible energy of Brazilian carnival before gearing up to defend his title at the Rio Open, which starts on Monday. 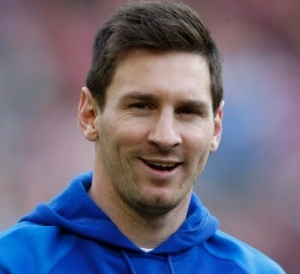 The Spaniard said that he really wanted to learn about the carnival in Rio as it had an incredible energy, adding that carnival was like a religion there, Sport24 reported. Johannesburg, Feb 08 - South Africa cricket team captain AB De Villiers has claimed that being told not to return home as 'losers' by their country's sports minister merely reflects the passionate desire of all the people in their nation for a maiden Cricket World Cup triumph. South Africa's Sports Minister Fikile Mbalula created a stir earlier this week when he said at the team's official departure that they did not want them to be at the World Cup to add numbers and just become a bunch of losers. De Villiers said that their country of South Africa expects a lot from their sports people, and added that they are expected to come there and win the tournament, Sport24 reported. 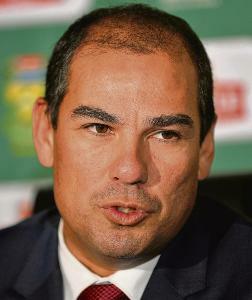 Johannesburg, Feb 04 - South Africa cricket team coach Russell Domingo has branded all the public hating all-rounder Wayne Parnell's inclusion in South Africa's Cricket World Cup squad as unfair. Domingo said that he doesn't know why some people hate Parnell so much, adding that maybe it's because of the paceman's hairstyle. He insisted that the left-armer is a wonderful guy and really works hard. Domingo claimed that people's perceptions about a cricket player, about a person, are often very different to what that person is actually like, Sport24 reported. 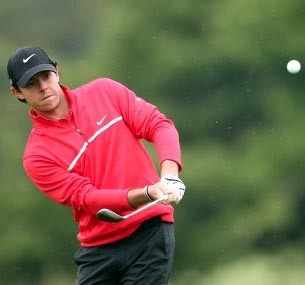 Johannesburg, Jan 31 - World number one Rory McIlroy was firing in the second round of the Dubai Desert Classic, as he hit three birdies in his last three holes on Friday to take sole possession of the lead in the tournament. McIlroy calmly rolled in a 20-foot birdie putt on the par-5 18th hole on the Majlis course to finish a sensational bogey-free round of eight-under par 64 as he moved to 14-under par 130 for the tournament. The Northern Irishman is currently in the lead with a shot over Scotland's in-form Marc Warren, who made nine birdies and two bogies in a round of seven-under par 65, the BBC reported. 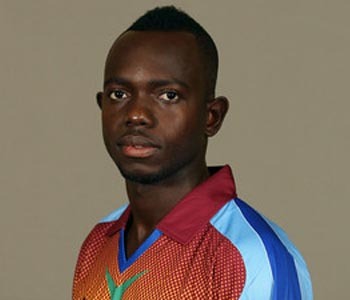 Johannesburg, Jan 30 - Left-arm spinner Nikita Miller has been roped into the West Indies squad for the upcoming World Cup in place of Sunil Narine, who backed out of the squad. Earlier in the week, Narine withdrew from the squad citing that he needs more time to rectify his bowling actions and confidently bowl for sustained period with his new action. The off-spin wizard has undergone intense remedial work after being suspended from last year's Champions League Twenty20 due to an illegal action. Miller has played 45 one-day internationals, with having the best bowling figure of 4-43 against Zimbabwe, Sport24 reported. Johannesburg, Jan 24 - Canadian tennis star Eugenie Bouchard has played down the ' Twirlgate' controversy at the Australian Open, saying that she was fine with it and trying to focus on her tennis. The Canadian tennis ace was asked by a male interviewer to twirl and show off her outfit for the crowd after second-round win in Melbourne. Responding to the controversy, she said that it was just kind of funny and she was fine with being asked to twirl if they ask the guys to flex their muscles , Sport24 reported. Causing a stir in the sphere of social media, tennis legend Billie Jean King had earlier branded the question as truly sexist. Johannesburg, Jan 19 : South Africa ODI captain AB de Villiers' swashbuckling fastest every one-day ton in 31 balls against the West Indies at The Wanderers on Sunday has been on the receiving end of an overwhelming response from the cricketing fraternity. De Villiers' batting partner Hashim Amla, who hit 153 not out, said that the skipper said he was going to have a look for one over but hit his first six balls for 24, adding that he is an amazing player. 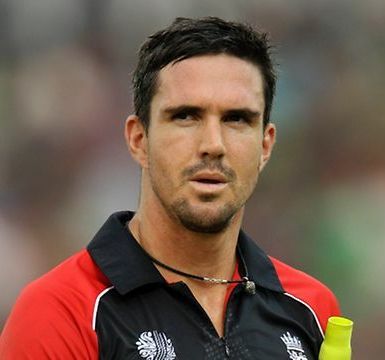 Johannesburg, Jan 14 - Axed England batsman Kevin Pietersen is of the opinion that there is a way back for him in the national squad as he claimed that the current captain Eoin Morgan would love to have him in the team. Morgan replaced Alastair Cook in December and would lead the England squad at the World Cup in Australia. Pietersen's international career was ended by England last year but the former skipper has been in fine form playing in Australia's Big Bash League for Melbourne Stars, Sport24 reported. Pietersen said that he knows that the current captain would love to have him in the England team, adding that he wants to play for England. Johannesburg, Dec 22 - Portugal football team captain Cristiano Ronaldo reportedly returned to his hometown Funchal in Madeira on Sunday in order to attend the unveiling of a statue that has been sculpted in his honour. The World Player of the Year footballer travelled back home to the Portuguese island from Marrakech where he helped Real Madrid lift the Club World Cup, their fourth trophy, on Saturday. An emotional Ronaldo, who was joined by family members and thousands of fans at the ceremony, said that this is a very special moment, to have a statue of himself, Sport24 reported. Ronaldo's mother Dolores Aveiro said that her son has never forgotten his origins.